Shortly after 1200hrs the NFD along with Rescue 9, Rescue 4 , Medic 186 & 114 responded to the PA turnpike off ramp from the Philadelphia Interchange to NB Route 1 for an auto extrication / hazardous materials incident. Chief 65 reported an overturned tractor trailer carrying approximately 8,000 gallons of gasoline on its side with the driver entrapped and tank leaking. Chief 65 established Nottingham Command and requested Haz-Mat 99 and Burlington County, NJ hazardous materials team to the scene. Engine 65 and Rescue 9 went in-service with extricating the driver and Rescue 4's crew stretched an 1 3/4" off of Engine 65. 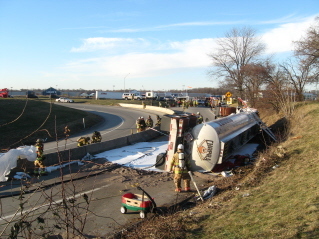 Once the extrication was completed crews began diverting the fuel away from storm drains and temporarily slowed the ruptured tank from leaking. Hazardous materials teams arrived on location and were able to hot-tap the tank and assisted the turnpikes environmental contractor with offloading the gasoline. The highway was closed for nearly 8 hours while crews completed this assignment. Additional companies on location were Engine Companies 4,28, 44, 88, Rescue 8 Rescue 16 , and Special Service 6. Deputy 65 AOS, 2 story sfd with heavy fire showing. E65 arrived and went in service with a blitz attack. Due to heavy fire load and deteriorating conditions command advised the companies would be working an exterior attack only. All occupants were out of the residence and accounted for. One NFD firefighter was transported to Aria Torresdale with minor burns. 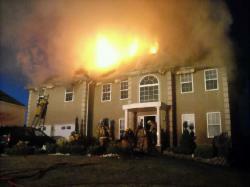 The Bensalem FMO has determined the cause of the fire to be arson. Two blizzards in 5 days crippled Lower Bucks Counny. 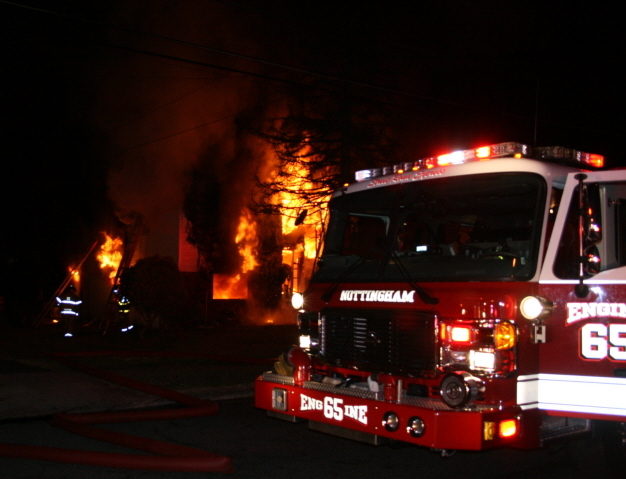 The NFD had crews in the station for 40 hours and responded to numerous calls. Chief 65 AOS and reported smoke showing from a 2-story dwelling. 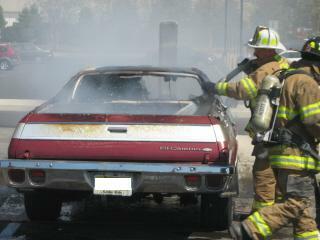 Engine 65 went in-service with an 1 3/4" waterline. Interior crews reported heavy fire on the first floor and heavy smoke throughout. 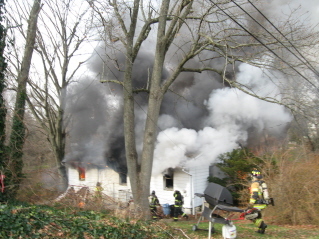 Ladder 65 vented the dwelling , Engine 28 stretched a back-up line to the second floor. Rescue 8 and Ladder 16 were added to the assignment and assisted the initial crews. 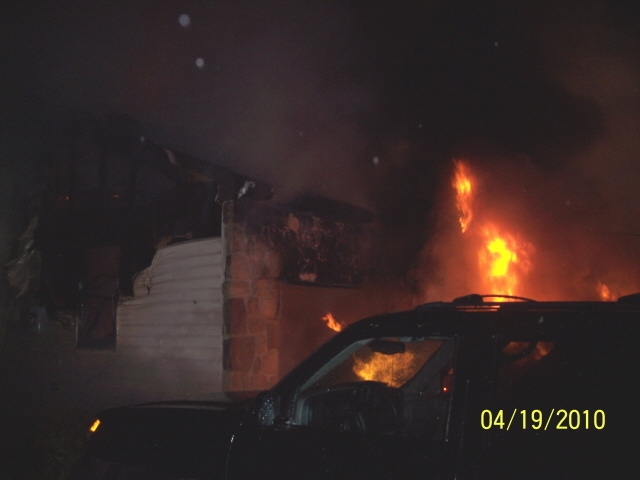 FM 222 was on location for the investigation. Engine 65, Medic 186 and Rescue 4 were dispatched to US RT 1 Northbound in the area of the Lincoln Motel for a report of an overturned vehicle. Deputy 65 arrived on location (Northbound RT 1 just inside the Philadelphia City limits) and reported an overturned SUV with two subjects entrapped. 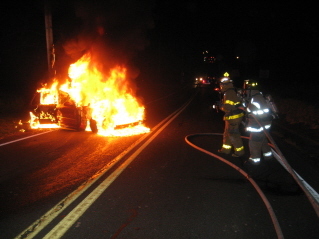 Engine 65 stabilized the vehicle and assisted Philadelphia County Engine 22 and Ladder 31 with extricating the victims. Medic 186 and Philadelphia EMS both victims to Aria Torresdale Hospital. Thoughts and prayers of the officers and members of the Nottingham Fire Department are with the family, friends and co-workers of Paramedic Daniel McIntosh. McIntosh (39 years old) died In the Line of Duty on Sunday March 7, 2010, after responding to a medical call in the 2600 block of Knights Road in Bensalem. 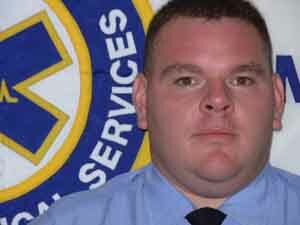 McIntosh a 13 year veteran paramedic for the Bensalem Rescue Squad, leaves behind his wife and two daughters, ages 1 and 5. He was also a Tactical Medic for the Bucks County South SWAT Team, a former firefighter with the Nottingham Fire Department and a part-time police officer for Hulmeville Boro. 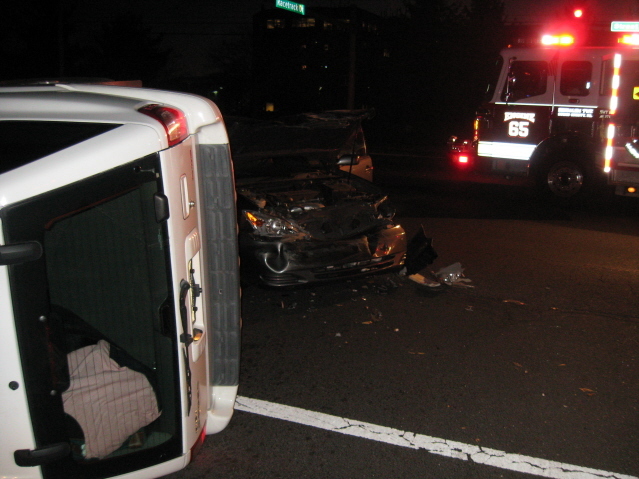 Engine 65 AOS, 2 Vehicle MVA and went in service with a drivers side door pop. 3 Patients were transported to area hospitals. 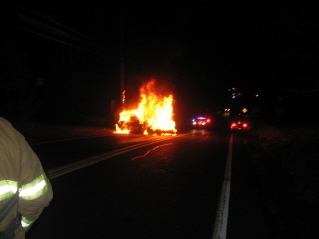 Engine 65 and Deputy 65 arrived on location of a 2 vehicle MVA on Street Road in the area of the Great American Diner. Deputy 65 reported a driver entrapped and Engine 65 went in-service. 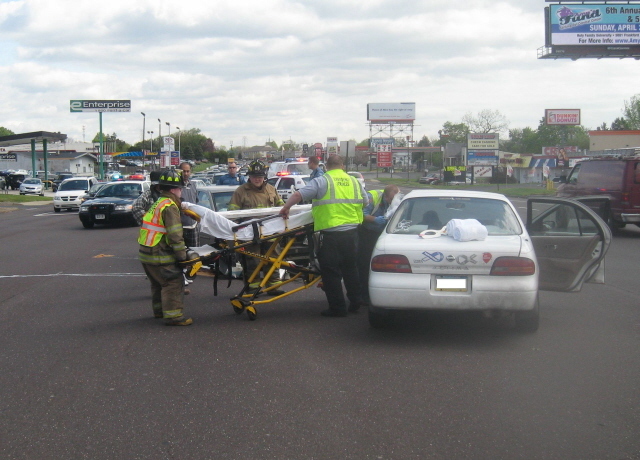 The patient was removed from the vehicle by Engine 65 and Bensalem EMS. Ladder 65 assisted the Lower Southampton Fire Department at the scene of a dwelling / garage fire on Manor Lane in Lower Southampton Twp. Chief 6 reported heavy fire showing from the garage section of the home. Ladder 65 laddered the dwelling and discovered the fire had extended into the attic of the dwelling. Part of Ladder 65's crew remained in the attic with an 1 3/4" waterline as other members went to the roof to conduct roof operations. Chief 8 arrived on scene with smoke showing from a 100' x 300' abandoned warehouse in Penndel Boro and established command, all hands in service, L65 was the second arriving truck company, went in service on side C with E9's crew. Ladder 65 was dispatched to assist Station 8 for an apartment fire with possible entrapment at 169 Durham Road in Penndel. 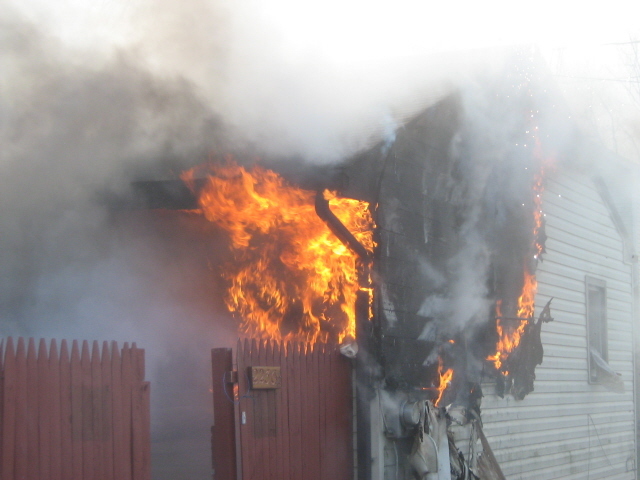 B/C 9 arrived on location with an apartment above a garage well involved. All hands were placed into service by command. Deputy 65 (R. Sponheimer) took interior command and Ladder 65 laddered the building and advanced an 1 3/4" from Engine 9 to the 2nd floor. 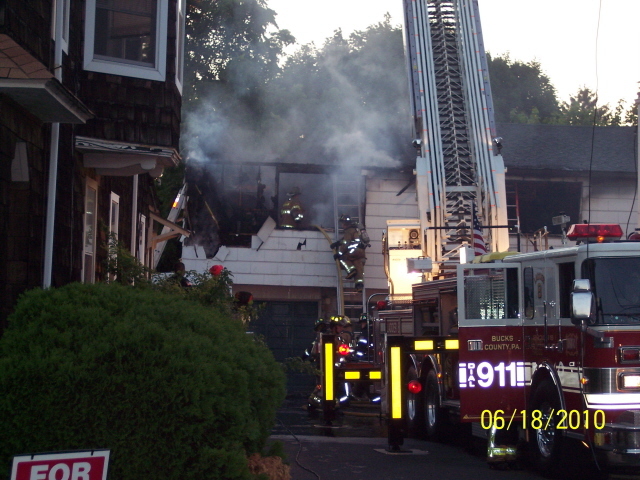 On June 25, 2010 (04:30hrs) Engine 65 was added to a dwelling fire on Jasmine Way in Feasterville. Deputy 1 reported heavy fire from the second floor of a single family dwelling. 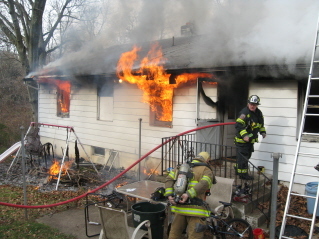 Engine 65 crew was split (laddering and venting the dwelling and back-up line to the 2nd floor). Interior crews encountered heavy fire on the second floor and attic space. All hands were placed in-service. Ladder 65 originally dispatched to cover Station 2 and then was added on the 2nd Alarm (James Way). 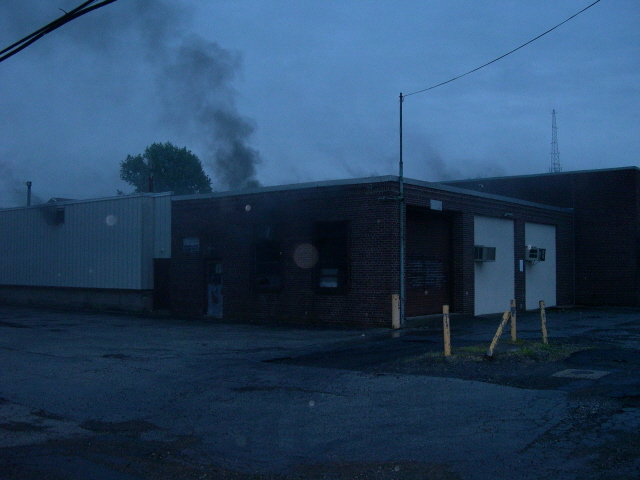 Command reported fire on the roof of a large industrial building. Ladder 65 assisted Ladder 2, Ladder 90, Ladder 1, and Rescue 73 with roof operations. Congratulations to Lt David Marshall and his wife Caryn on the birth of their son Jackson Ridge Marshall born at 10:21am on Saturday July 17th, Jackson weighed in just over 6lbs. Congratulations to Jason and his wife Teresa on the birth of their son Matthew Patrick Harris, born Wednesday July 28th at 1632hrs weighing in at 7lbs 1 ounce and was 20 inches long. Deputy 65 AOS and reported fire showing from the roof of Entrance #6. Deputy 65 assumed Trevose Command and placed Engine 84 and Ladder 65 in-service. Roof crews reported the fire was running roof while interior crews where reporting a moderate smoke condition in the AMC 24 Movie Theater. 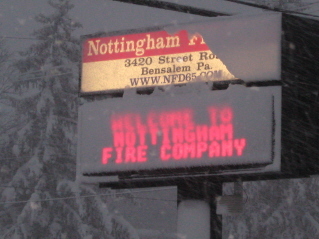 Command then placed Engine 4, Ladder 1 and Rescue 8. The fire was contained to a roof section of Entrance #6, however the movie theater and that wing of the mall were evacuated. FM222 is handling the investigation. 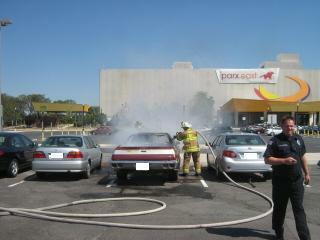 Engine 1's crew report heavy smoke on the 2nd floor of a large commercial building (B&R Fitness Club). Deputy 1 established command and placed all hands in-service. Ladder 65 placed ladders on Side C and forced doors in the rear of the fire building. Ladder 65 then was assigned to go interior and assist Engine 1's crew. Engine 1 & Ladder 65 crews located heavy fire in a 2nd floor exercise room, Deputy 65 was assigned interior command and advised command of heavy smoke and heat condition on floor 2. Deputy 65 requested command to have the truck companies on the roof open additional vent holes and have additional hand lines stretched to the interior of the building. Crews on the 1st floor discovered heavy fire conditions in an office(below the 2nd floor exercise room). Additional companies were added to the assignment and placed in-service by command. FM 243 is handling the investigation and no injures were reported. Bensalem Police were on the scene (Creekside Apartments) assisting complex maintenance with a utility complaint. The occupant of the 3rd floor apartment refused to open his door and barricaded himself inside his apartment prior to setting it on fire and jumping out of a 3rd floor window Deputy 65 AOS and reported heavy smoke showing from a 3 story apartment building. Engine 65 established a water supply and went in-service with an 1 3/4" waterline. Chief 28 arrived and established Eddington Command and placed all hands in-service. Interior crews reported heavy smoke and heat conditions on the 3rd floor landing, but were having difficulties making the apartment due to the subject barricading the door. Upon entry into the apartment Engine 65 located heavy fire conditions in the kitchen and in the roof area. 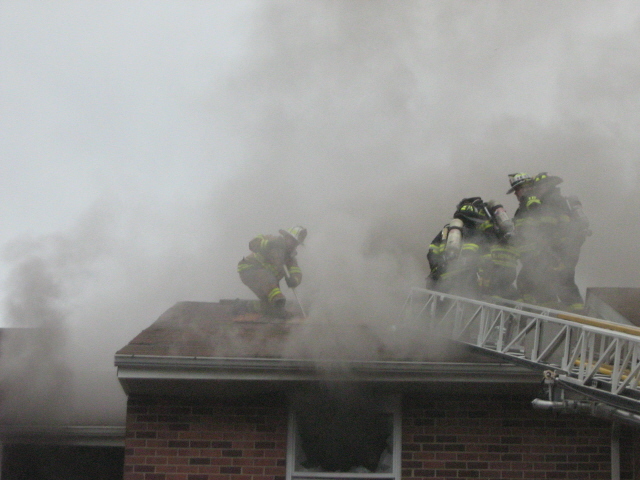 Ladder Companies 16, 37, and 1 laddered the building and vented the roof. 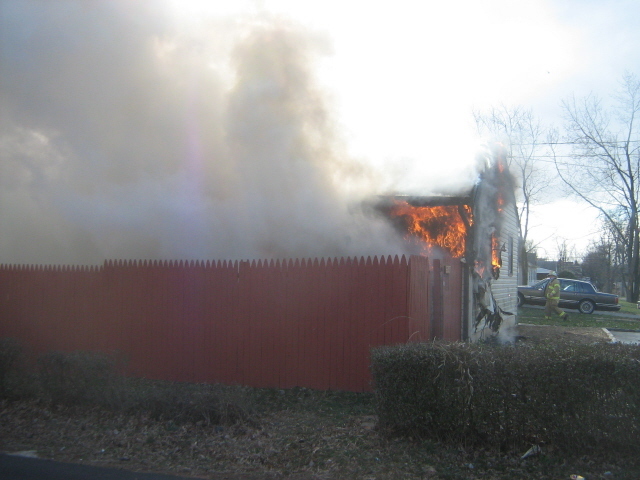 Bensalem FMO and 22PD were on location investigating the fire and Bensalem EMS transported one subject to the hospital. Deputy 65 AOS of a single car accident and confirmed one entrapped. Engine 65 and Rescue 4 popped the drivers door open and assistaned with patient care. Medic 114 and 186 transported the patients to Abbington Hospital. 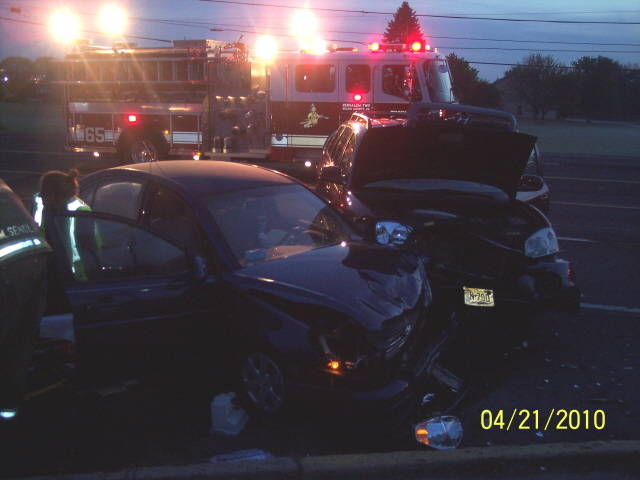 Engine 65 AOS of a 2 vehicle MVA on Street Road n front of Parx Casino. Engine crew secured all hazards and assisted Medic 186 with patient care. Chief 6 AOS of a 3 story apartment building and reported heavy smoke showing from the 3rd floor. 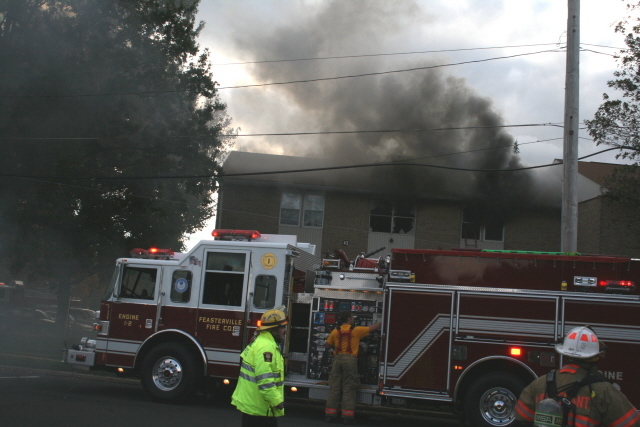 Engines 1 and 6 went in-service with 1 3/4" waterlines and Ladder 65 vented the roof. 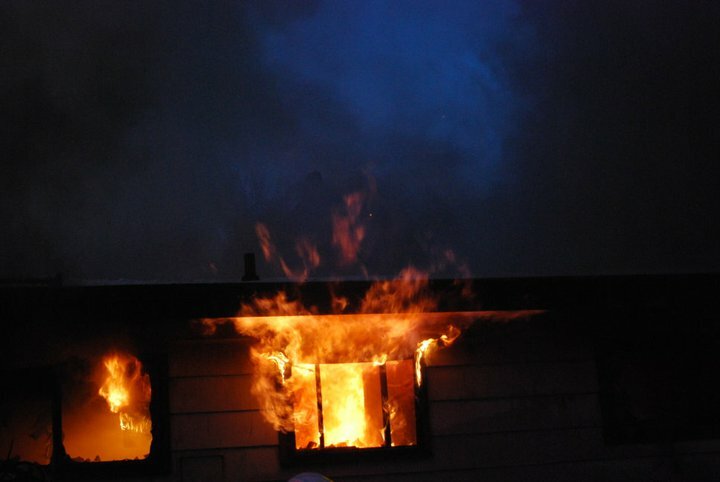 The fire was contained to one apartment and no injuries were reported. Companies were dispatched to 349.0 westbound on the Pennsylvania turnpike for a 5 vehicle MVA. E65 & R4 AOS to find and 1 patient who was self extricated from an overturned vehicle prior to arrival and 3 entrapped in a second vehicle . 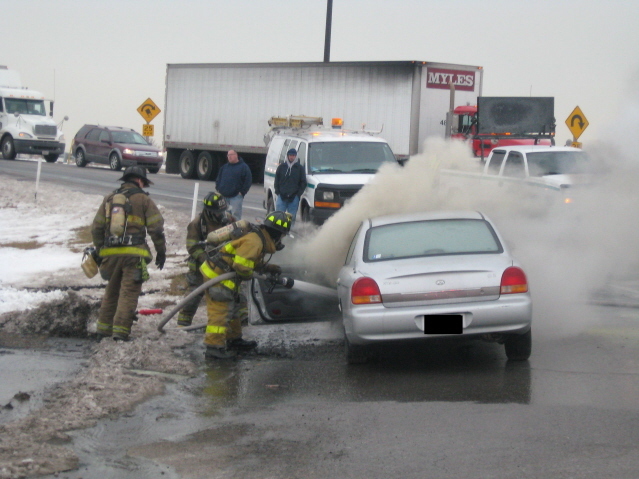 Rescue 4 went in service on the passenger side door and E65 & E222 assisted with stabilization and hazard control. Medic 186,114 & 113 transported a total of 4 patients to area hospitals. The westbound lanes of the turnpike were closed for over an hour.